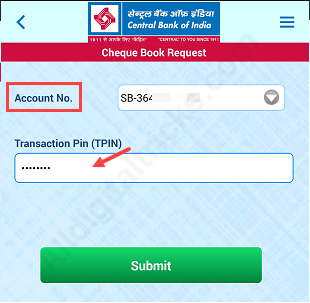 Central Bank of India (CBI) customers can now request new Cheque book online through net banking and mobile banking channels, so you don’t need to visit the bank to apply new Cheque book. India’s Public sector bank Central Bank of India provide net banking and mobile banking facility to customers, so they can easily manage their account online & avail many online services at home. If you are also a Central Bank of India customer and looking for new cheque book then follow these two online ways and order your Cheque Book at home. You can apply new Cheque Book through net banking and mobile banking facility. You can activate both facilities online. Please note: If you just opened a new saving account on Central bank of India then please apply for first Cheque book through a branch, you can not apply the first chequebook online. 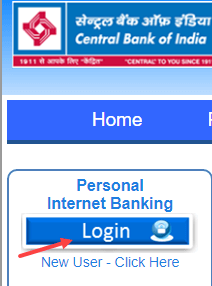 In personal internet banking, click on login. 2: Now enter User ID (CIF Number) and login password. 3: After login, click on Requests option, and in Requests click on Cheque Book issue. 4: Next screen select your account number, Cheque leaves and select mode of delivery and submit your request. 5: Next screen confirm your request. You can also request new cheque book through Cent mobile banking application. 1: Login to Cent mobile banking application. 2: After login, tap on Request tab. 3: Now tap on Request for Cheque book. 4: And next screen select your Account number and enter TPIN. That’s it your applied successfully. 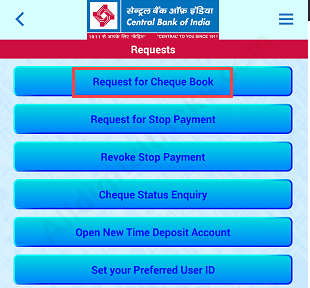 So by following these two ways Central Bank of India customers can request Cheque Book online. 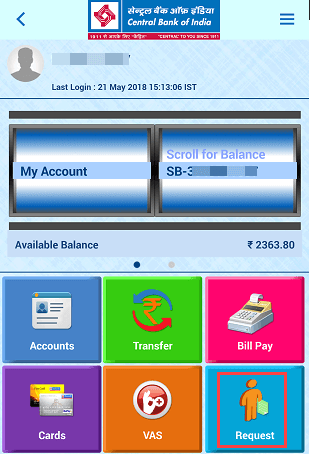 I’m unable to apply cheque book through mobile banking process.